despite rainy and cool weather in milwaukee, we had a great time. matt's aunt and uncle live and work on a dairy farm outside of the city. what fun it was to visit such an operation, spend time in the barn, and experience the creamiest milk and cheese. getting away from city-ish life can be quite refreshing. intense storms on the east coast prevented us from getting home until after 2am on monday morning, so the next day was spent recovering. 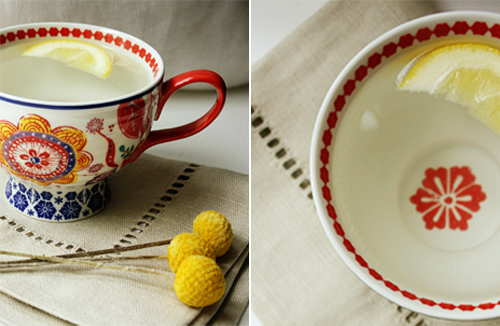 after too many hours on the plane, plenty of sleep and hot water with lemon helped to refresh. i am just now starting to feel caught up. + a once-perfect coat of no spain no gain is still on my nails. am a fan of the plummy shade. 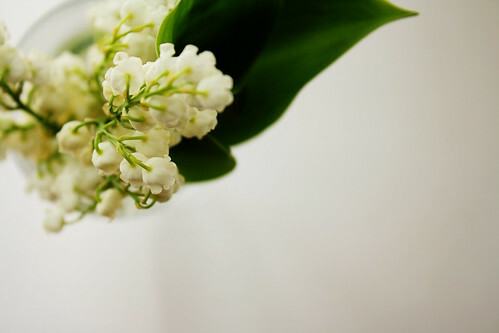 + all about lilly of the valley these days. and lilacs. am dying for a bush for the yard. + lovelies in the mailbox lately: a marta journal + designer chocolates. + lots of wedding-y things going on. will devote an entire future post. + on the hunt for honeymoon wear. any suggestions? + in the meantime, living vicariously through elise. tell me, what's going on with you?